Well, Ezekiel is still prophesying (and he’ll still be prophesying until Saturday :0) God is still sending out the same message through him. Again and again, God chastises His people, trying to shake some sense into them so they will repent and turn back to Him. Not because He wants to exercise judgment on them but so “they will know that I am the Lord.” (That phrase is used 74 times in the book of Ezekiel.) No one could say God was unfair because He didn’t warn them of His coming judgment or that He hadn’t given them enough time or that he hadn’t been clear. As we’ve talked about in the past, large or important cities normally fortified themselves against their enemies by constructing a tall, thick wall (sometimes an inner and an outer wall as we saw with Jericho) around the perimeter. These are great for keeping the enemy out once they get there, but not so great for being able to see whether or not the enemy is coming in the first place. We’re talking low visibility. So they would often build high watchtowers at various intervals around the city wall (sometimes outside the wall in a field or on a hill, but fairly close to the city). A watchman would be stationed in the watchtower, and it was his job to alert the higher ups that the enemy was approaching, a messenger was arriving, etc. To be good at his job, he needed good eyes. He needed to be able to discern a messenger from an enemy. He needed to stay alert and vigilant. He needed to act quickly and decisively. He needed to be able to rapidly and clearly convey an urgent message to the right person at the right time. And if he failed even once in any of these duties, he could likely kiss his life goodbye. 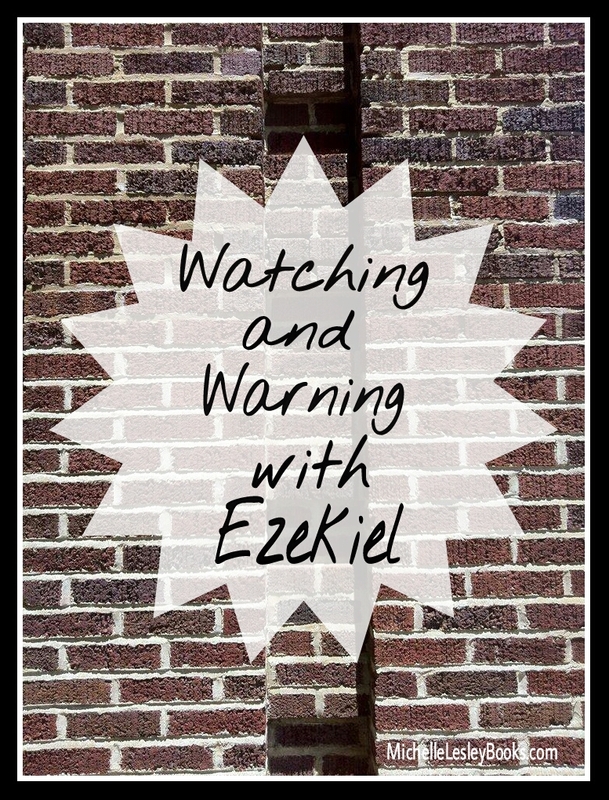 Every time God had a message of warning for the people, Ezekiel was to faithfully proclaim it without delay. He was not to hold back from speaking harsh truths to scary people just because he was afraid. If the person Ezekiel was speaking to chose to reject God’s message, that was on that person’s head (9). But if Ezekiel kept his mouth shut, he was being just like that watchman on the wall who didn’t do his job right, and God would hold him accountable for the death of the intended hearers, who would still die in their sin (8). EXACTLY. Israel’s sin and transgressions are bringing God’s wrath upon her. That is what has caused all this calamity and the continuing sermons of doom from His prophets. As God had already told the people back in chapter 18, “The soul that sins shall die.” (18:4). But the story doesn’t end there. Their sin has done them in, and now they’re coming to grips with a horrifying reality: they have transgressed a holy God. They recognize that they deserve any punishment God wants to dole out and that He will be justified in pouring out His wrath upon them. What hope could they possibly have? “Turn back, turn back from your evil ways, for why will you die, O house of Israel?” (11) He pleads with them. This God who pleads with them now, and has been for nearly 800 years, is not the cruel, selfish, and vindictive god some portray Him as, but the tender, compassionate Father who will move heaven and earth to keep His children from destroying themselves. None of the people are so bad that God won’t save them and none of them are so good that they don’t need God to save them. Although we’re not prophets, God has given us a similar charge to the one he gave Ezekiel. We, too, who have the good news of the gospel are to be spiritual watchmen for all those in our circle of influence. We have God’s word, we know what it says, and He has commissioned us to carry that message to people. Like the watchman, we need to stay alert and vigilant for opportunities to share the gospel. We often need to act quickly and decisively to share the gospel before the moment slips away. We need to be able to clearly convey the urgent message of salvation to the right person at the right time. And we need to take this duty deadly seriously. Sometimes when people present the gospel, they do it by using what salesmen call a “hook,” a promise of what the product will do for the person or how it will make his life better. “Want to go to Heaven when you die?” “Jesus will make your life awesome!” But that’s not our message. Jesus isn’t a product we’re trying to convince people to buy. Like Ezekiel, our first job is to warn people that they have broken God’s law, and that the penalty for breaking His law is God’s wrath, an eternity in hell. God doesn’t just automatically forgive everybody when they die (that’s a false teaching called Universalism). And, just like Ezekiel told the people, you can’t get by on your own good deeds. The warning always has to come first. People don’t know they need to flee to safety if they don’t know they’re in danger. How could we ever keep such wonderful news to ourselves?